Born in Canada, I have lived in Britain for nearly two decades, training as a textile designer at Glasgow School of Art, and later running a printed textile practice, from the Oxo Tower. 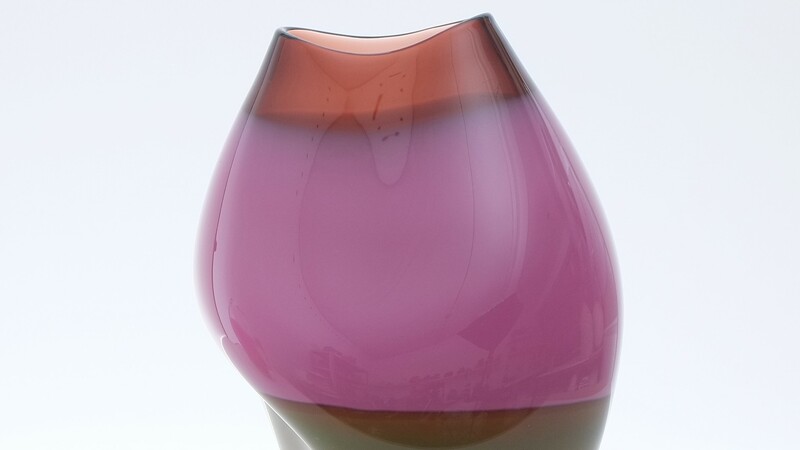 Recently completing an MA in Glass at The Royal College of Art, I found a new passion in blown glass, focusing on colour merging and surface texture. Inspired by natural forms and organic structures, I explore balance and asymmetry through shape, surface and colour. I mirror the soft organic lines created when molten colour bleeds into the other, with a biomorphic form. These moody, ethereal colour bleeds are reminiscent of dip dyed fabrics. This enhances both the qualities of the glass medium, and the free tonal movement of colour inciting moods and memories. I am interested in exploring our relationship to patterns found in nature, and explore this in both my print work, and blown glass vessels.